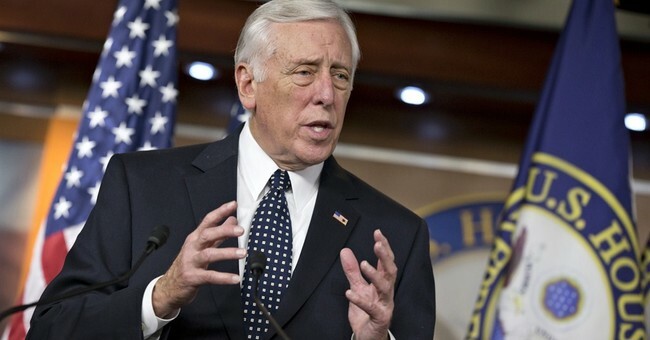 House Minority Whip Steny Hoyer released a letter Tuesday signed by 155 Democratic lawmakers supporting his bid to be the next House majority leader. With the support of at least two-thirds of the incoming Democrats, Hoyer has all the votes he needs to take the second-ranking leadership spot in the House. “In the majority, we will have considerable opportunity to effect change and great responsibility to get things done on behalf of our constituents,” the members wrote. “We will need a steady, experienced leader over the next two years, who also works to empower our Members and prepare them for future leadership opportunities. They argued that Hoyer would hold Trump accountable and be able to accomplish things despite the division. They also praised Hoyer’s efforts to allow more junior members a chance to get leadership experience. “Half of his Whip team is composed of Members who have served for three terms or less,” they pointed out. The Democrats will hold their elections for House leadership positions on Nov. 28. Pelosi is facing a more uphill battle in her bid for speaker of the House where she’s insisting that she’s the right woman for the job.